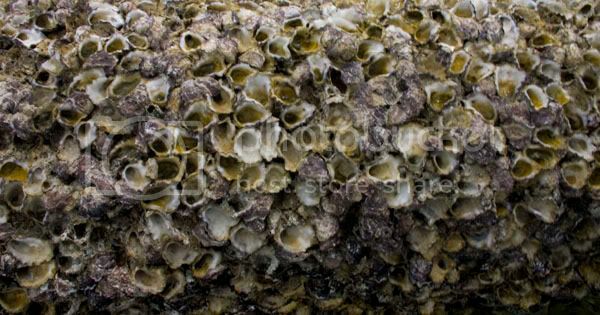 Barnacles wait to destroy the extremities of unsuspecting passersby. For more sharp and dangerous pictures of Thailand, click here. I’m in pain… and it feels wonderful. My hands sting with every movement from the cuts received on the barnacles. My whole body shakes with the pink fluorescence of slightly sunburned skin. My back aches where I overextended myself diving for an errant volleyball in a pickup game. My knees glow red where the sand left rashes along them. Yet it’s because of these things, any one of which could be termed an annoyance or an unfortunate effect of island life, that I feel more accomplished in my final full day here. I’ve always held a strange understanding that sacrifice should be written in scars. When one is truly living, his or her body should show the world written on their skin. These might be small temporary scrapes or bruises gained in physical exertion. They might be lines of worry or crow’s feet built by countless hours of study or laughter. Perhaps they’re deep scars from a summer at a lake or clean cuts now healed from an important surgery. They might even be tattoos and piercings chosen to outline belief, lifestyle, or merely a good time in Tijuana, if that’s what floats your boat. My body should be a network of images and marks showing my life. If my body is a temple, it should be ancient and used, worshipped in for eons rather than pristine and kempt and useful only one day a week. If cleanliness is next to godliness, it is only because the gods can walk through life unscathed; to be human to burn when walking through fire, bleed when cut with a knife, and break when working or playing hard. Tonight, I’m a series of painful souvenirs, and I wish I could wear every one forever. We slept in again this morning, or rather Matt did. I once again rose before him, this time rudely typing away without a second thought in my still sleepy state. Because of a lack of power and ease of use, I’ve been quietly scribbling in one of my blank books, carefully preparing first drafts of entries which, by now, are waiting, post-dated, in the annals of Worldwide Ace. With more than enough downtime here on Koh Samui, I’ve been transferring these to type, making posting quicker and easier once we find a connection. When Matt finally rose, chiding my thoughtless clacking, we wandered down to the beach and planted ourselves beneath a beach umbrella. While Matt napped, I slipped on my snorkel and made for the far corner of the beach. After 45 minutes of helpless thrashing without fins, I turned back, only 2/3rds of the way to my proposed destination. By the time I arrived back at the umbrella, I was breathless and worn down, my stomach rumbling in anticipation for food. Matt was still asleep. I attempted to share the umbrella, but given the angle of the sun, I kept finding myself banished from my protective cover. 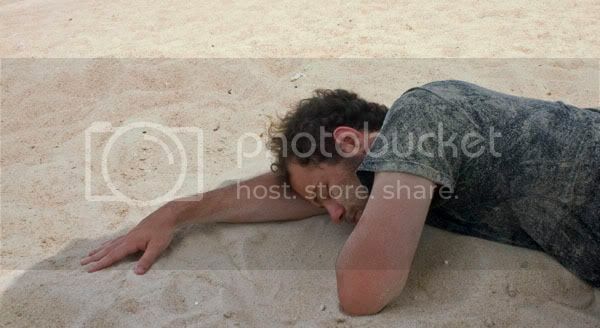 I finally gave up hope just as Matt woke up, sand covering his face like a bad rash. We played in the water for quite some time, floating in bliss among the warm currents of the South Pacific. Eventually, though, our pruned bodies needed rest and we returned to the umbrella for a second nap. Rather than risk being forced into the sun again, I slipped under a second umbrella next to our primary spot, my shoulders already red from the sun. How long we slept, I’m not sure. I woke only a moment or two before Matt and we frolicked in the water once more before heading off in search of food. The day before I had spotted a little place called Cheap Charlie’s, whose prices could not be beat. Matt wasn’t fond of the idea of eating there, so we walked further up the little hill to a place called We Art. Their balcony veranda was decorated with hanging plants and trees sprung through holes on the porch. Our Pad Thai came wrapped in an omelet, marking the third time in three meals I had ordered something and received something I did not expect. Still, as with the previous times, it was delicious. My body turning pink already, we forewent the beach in favor of a brief jaunt down the main drag, stopping at 7-Eleven to pick up snacks for the long ride back to Bangkok. I instantly laid my hands on a bag of Spicy Chili Squid flavored Lays. As we walked back toward our hotel, I spotted a game of volleyball along the beach and decided to jump in. For three games, my trio of Dung, Kong and me defended our title. Eventually, we lost and I dipped into the ocean to wash my sand and sweat caked body. After dropping our goodies at the bunk, we walked the length of the beach as the sun was setting, watching fireworks and little hot air balloons made of paper float across the darkness. The soft light of candles and tiki torches fought against the brightness of neon lamps and flashing signs. Eventually, we returned to the hotel, our minds and bodies weary after a long day of relaxing, however that works. While enjoying an iced coffee at the hotel restaurant and watching the moon rise over the water, we spied a trio of girls who had caught our eye earlier. Matt, being the friendly sort that he is, wanted to approach them. He sought my encouragement, something I was not quite in the mood to give, and we missed our window. SIDE NOTE: So many of my friends say I have an ego; that my confidence is almost tawdry in how strong it comes off. At the same time, I think so little of myself. My primary mode in new situations is as a silent observer until I can figure out my role. I’m not the type to wander up to a random stranger and strike up a conversation. I’m not the sort to find myself palling around with someone I barely know. And though I do fine once the ball is rolling, I’m no Sisyphus. If anything the initial push is hardest. If I had told Matt to go for it, our evening might have ended on a brighter note, new friends in tow. Instead, I said, “if I were in your shoes, I wouldn’t introduce myself, but that’s the wrong answer.” And he, rightfully so, interpreted that as a lack of support. We have a pact, Matt and I. Before the end of the trip, I must initiate social interaction with one group of women successfully (or two unsuccessfully), if only to help me in my quest to get out of my comfort zone. I know this will actually be easier than it seems currently, though my doubts and suspicions sit every present in the back of my mind. It’s not as though we’re looking for sexual conquest, but merely friendship and the knowledge that we’re not out here alone. After all, it’s a big world and we’re merely two Americans traipsing across our little corner of the verse.